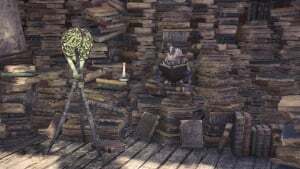 The Ecological Research Center is a group of NPCs in Monster Hunter World (MHW): The Chief Ecologist, Lynian Researcher, and the Smart Biologist. 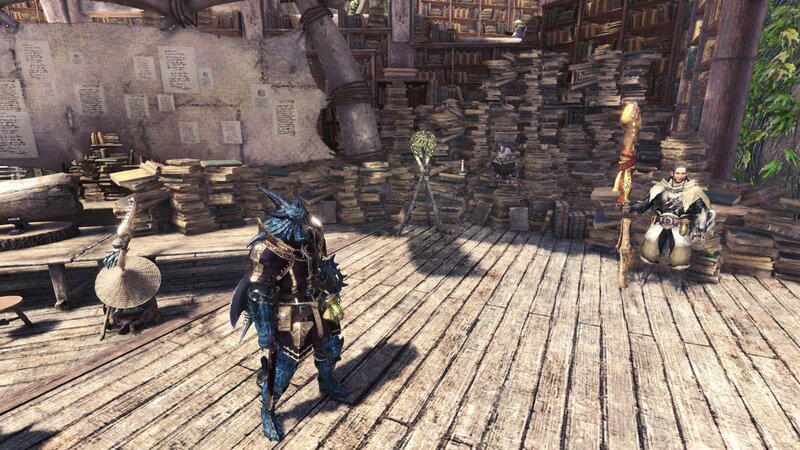 At the Ecological Research Center, the Hunter can view Monster Research Levels, Special Investigations, and the Monster Field Guide. Ecological Research is a facility the studies Monsters. Their studies can help you with your hunts and investigations. The Chief Ecologist will archive any information the Hunter gathers on by taking down Monsters and gathering their tracks. This will add information to the Monster Field Guide. Gathering a Monster's tracks will also increase the Scoutfly level for that Monster, making it easier to track on successive hunts. Note that the Scoutfly Level lowers over time. In addition, special Quests will be issued by the members of Ecological research throughout the Story from the Chief Biologist, Smart Biologist, and Impatient Biologist. They will ask the Hunter to hunt or capture specific Monsters in order to study them, as well as encounter the legendary Kirin. In addition, the Lynian Researcher will guide the Hunter in studying the Grimalkynes and Gajalaka.